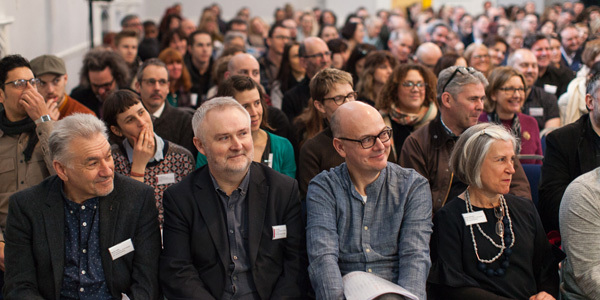 Thanks to all who came to the UAL Awarding Body Conference at Mary Ward House on 10 February. 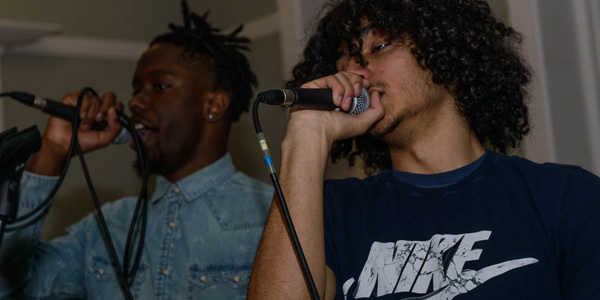 The event was our biggest to date – with over 350 people in attendance! Instead of running separate conferences, this year’s event brought all subjects together under one roof. 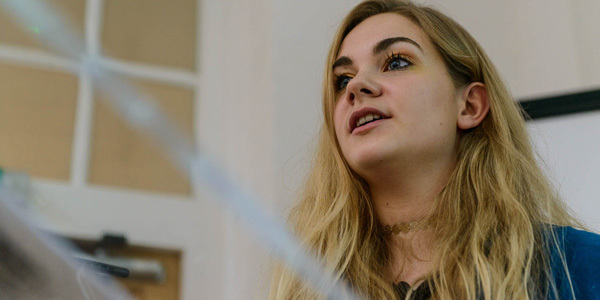 Delegates from Art & Design, Music, Performing Arts and Fashion came together in the morning, before separating for subject-specific breakout sessions in the afternoon. The Foundation (FAD) conference had a separate agenda, but delegates joined those from the other subjects during the breaks and post-conference networking session. Grayson Perry’s lively presentation. Photo James Hopkirk. 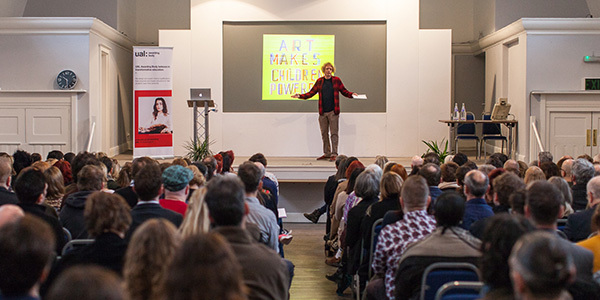 UAL’s Vice Chancellor Nigel Carrington opened the main conference and introduced Grayson Perry (UAL Chancellor), who delivered a lively presentation on why arts education is so important. There were also policy updates from Naomi Nicholson (Ofqual) and Helen Thorne (UCAS). 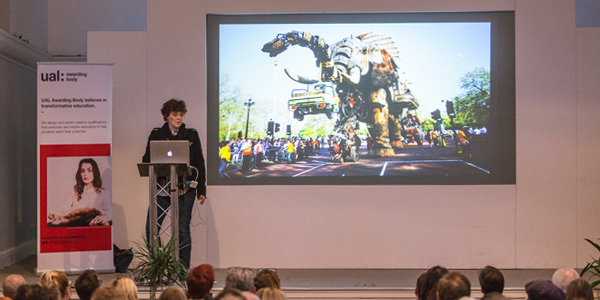 Subject-specific speakers included: Posy Simmonds (newspaper cartoonist, writer and illustrator), Jenny Mollica (Barbican), Jenni Sutton (Fashion Capital), Sam Summerson (Global Academy) and Dave Randall (composer/producer). Delegates then re-grouped for a moving presentation by Helen Marriage, Director of public arts company Artichoke. Helen Marriage from Artichoke. Photo James Hopkirk. 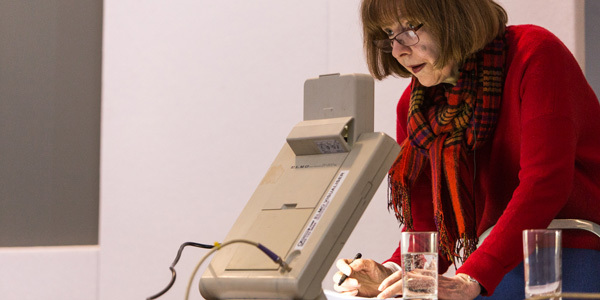 Posy Simmonds live drawing her presentation on a visualiser. Photo James Hopkirk. The FAD conference included presentations on: digital portfolios (Neil Manning, Edinburgh College); writing project proposals (Elspeth Mackie, SEM); the student experience (Natasha Parker-Edwards, former Barton Peveril College student); and the growing emphasis of digital portfolios (Georgia Steele, CSM). 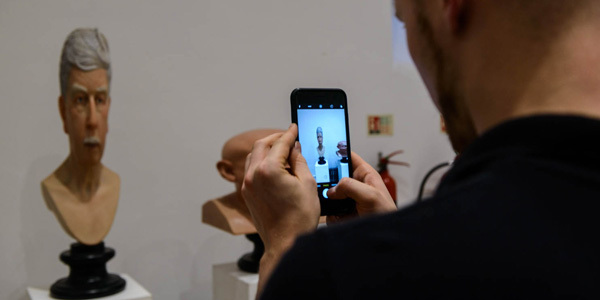 There was also an insightful keynote speech by sculptor John Humphreys, who brought several works – including an alien in a body bag – along for delegates to see! Former FAD student Natasha Parker-Edwards. Photo Ludovica Galeazzi. FAD delegates admire sculptures by John Humphreys. Photo Ludovica Galeazzi. 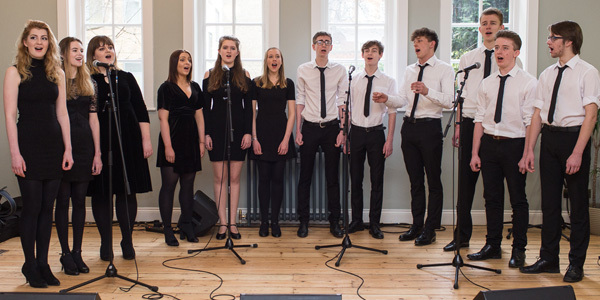 Guests were also treated to live performances by talented students from the Academy of Contemporary Music, West Suffolk College and BSix throughout the day. 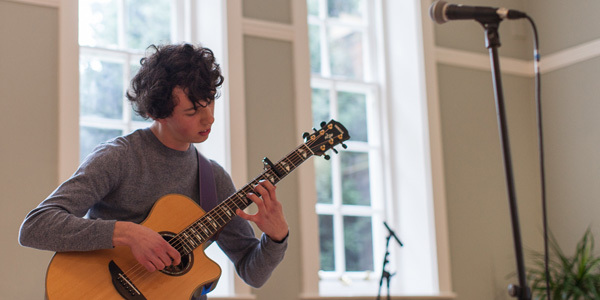 Live student performances by West Suffolk College, BSix and George Nash from Academy of Contemporary Music. Everyone who attended the conference has an event evaluation form via email. We will use the feedback from the form to inform future UAL Awarding Body events therefore please do take the time to complete it if you can spare a couple of minutes.